We were thinking that your central vacuum power unit should fit your needs be innovative, efficient and quiet by design. Superior performance with cleaner air built in. Made of solid metal construction guaranteed for life, the Electrolux Metal quiet clean line is strong and sturdy, yet elegant. 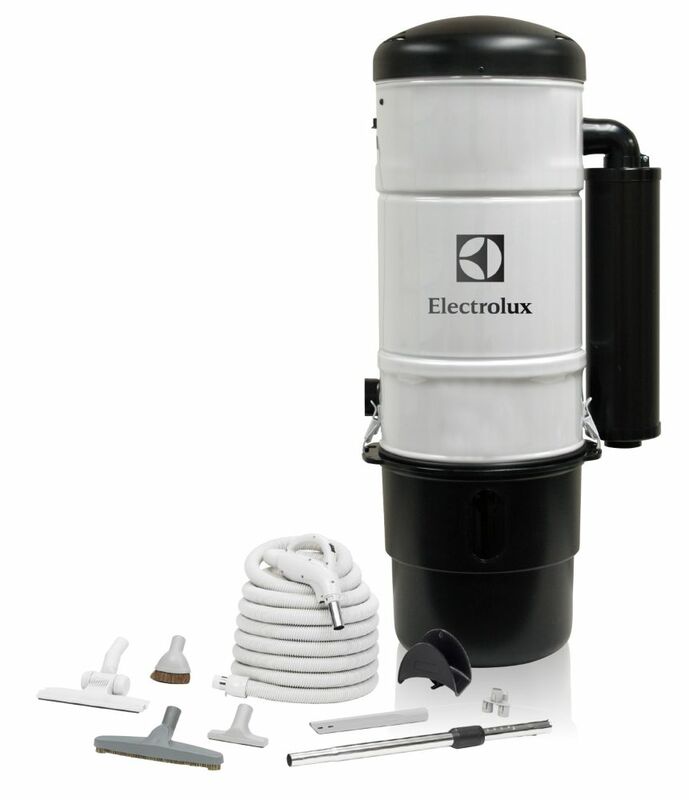 Includes Complete Electrolux Deluxe Hard floor Cleaning Kit. Designed for semi & detached homes / hard floor surfaces. Electrolux central vacuum systems have been designed to fulfil the need for technically advanced products offering sleek design and highly effective performance. It is the built-in home cleaning solution giving you a easier, more enjoyable cleaning experience with the benefits of a healthier home. The Bucket Head<sup></sup> Wet Dry Vacuum power head turns The Home Depot multi-use 19 litre (5 gallon) bucket into a wet dry vacuum (BUCKET SOLD SEPARATELY, see Home Depot Canada SKU# 1000143871). Bucket Head features a 1.75 peak horsepower motor for powerful suction as well as a blower port for added versatility. Compact and portable, Bucket Head is perfect for cleaning up small jobs in the shop, dust collection for power tools, and vehicle clean up. This shop vacuum comes equipped with a 1-1/4 in. (3.2 cm) diameter by 4 ft. (1.2 m) hose, a 6 ft. (1.8 m) power cord, and cloth filter. Accommodates most 1-1/4 in. (3.2 cm) diameter accessories. VT1755 Adapter Kit (sold separately, see Home Depot Canada SKU# 1000527708) is also available to connect the 1-1/4 in. (3.2 cm) vacuum hose to 1-7/8 in. (4.8 cm) shop vacuum attachments. Electrolux Deluxe Hose Ensemble - Carpets Crushproof hose. The rigid construction allows you to clean without having to worry about kinks, flattening, or loss of suction. The Electrolux ErgoGrip Cleaning Set combines an ergonomic handle for comfort and easy maneuverability with a fully sealed hose system to ensure powerful suction and superior cleaning. The Cleaning Set. Perfect partner. We were thinking that the real performance of a central vacuum system depends on the cleaning set. The Electrolux ErgoGrip Cleaning Set combines an ergonomic handle for comfort and easy maneuverability with a fully sealed hose system to ensure powerful suction and superior cleaning. It comes complete with all the cleaning tools you will need to clean every surface type in your home - both high and low - including the innovative onboard 3-in-1 cleaning tool, telescopic wand, combo rug/floor tool, and a hard floor tool. Hoover. Power Scrub Elite Carpet Cleaner was designed for improved cleaning performance and superior drying. Enhanced features include: HeatForce for faster drying, Quick and Deep Clean Modes to lift embedded dirt, and Wash/Rinse Mode to remove solution residue to deliver A Powerful Clean. ELX600 w/ Hard Floor Cleaning Set We were thinking that your central vacuum power unit should fit your needs be innovative, efficient and quiet by design. Superior performance with cleaner air built in. Made of solid metal construction guaranteed for life, the Electrolux Metal quiet clean line is strong and sturdy, yet elegant. Includes Complete Electrolux Deluxe Hard floor Cleaning Kit. Designed for semi & detached homes / hard floor surfaces. Electrolux central vacuum systems have been designed to fulfil the need for technically advanced products offering sleek design and highly effective performance. It is the built-in home cleaning solution giving you a easier, more enjoyable cleaning experience with the benefits of a healthier home.